Last week, we were first to report that Google AdWords was restricting data for the AdWords Keyword Planner for those advertisers without active campaigns. 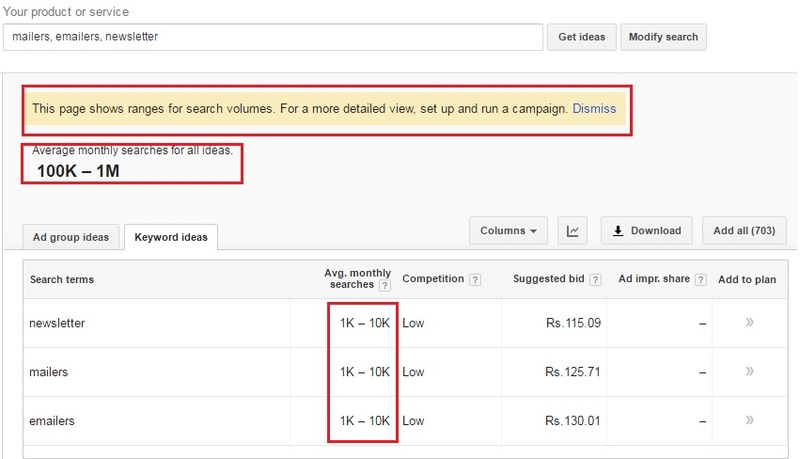 Google has now officially confirmed the change, and revealed another detail – accounts that are also under a certain monthly spend will also see the reduced data in the Keyword Planner Tool. 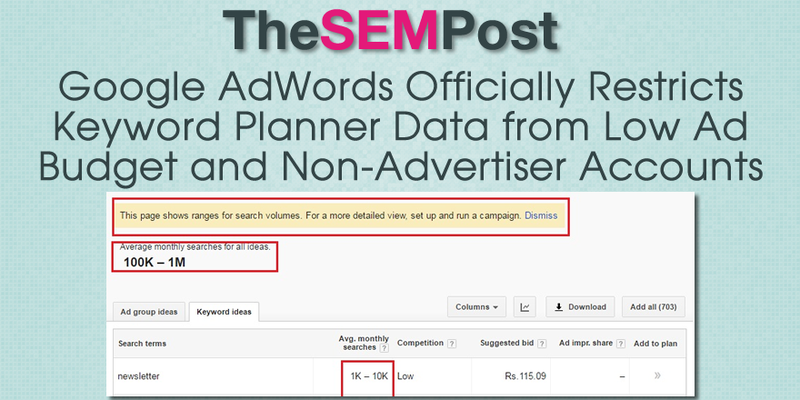 Here is how the Keyword Planner looks to those without active campaigns. You can see instead of more concrete numbers, they have a wide range of average monthly searches listed instead. It isn’t clear what the minimum ad spend is for advertisers to keep the more detailed data in Keyword Planner, advertisers have asked but there has not been an official response yet. Now, this move isn’t much of a surprise for SEOs relying on this data. In June, Google completely shut off Keyword Planner access to non-advertisers, although they later said it was merely a bug. And it follows another change where Google decided to group up similar and related keywords into one lump estimate, and would no longer provide detailed data on individual keywords. But this change is bad news for non-advertisers who use the Keyword Planner for organic SEO research. SEOs will either need to pay for AdWords advertising or use a third party keywords tool, although they start at around $100 per month.